These tablets contain more than 500mg of a strong, well-balanced Vitamin B Complex formula. Vitamins B6 and B12 contribute to the normal function of the nervous system and normal energy-yielding metabolism as well as contributing to the reduction of tiredness and fatigue. DIRECTIONS: As a supplement, take one tablet daily with a little liquid. Magnesium Stearate*,Folic Acid, Vitamin B7 (Biotin). 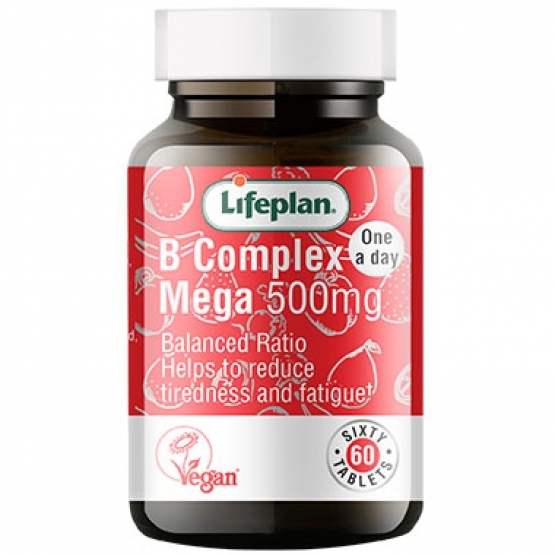 Vitamin B Complex (Mega) x 60 has been added to your basket.